Miter saw is one of the most multipurpose, but also complex tools. Its main feature is a capability to saw wooden slats, beams, boards, and blanks from other materials at a strictly set angle. This is useful for making roof elements, door frames, window frames, arbors, fences and many other constructions with high accuracy. To be confident in purchase this tool we suggest that you read our miter saw buying guide. A miter saw is quite a complex tool manufactured from high-quality materials with high accuracy. 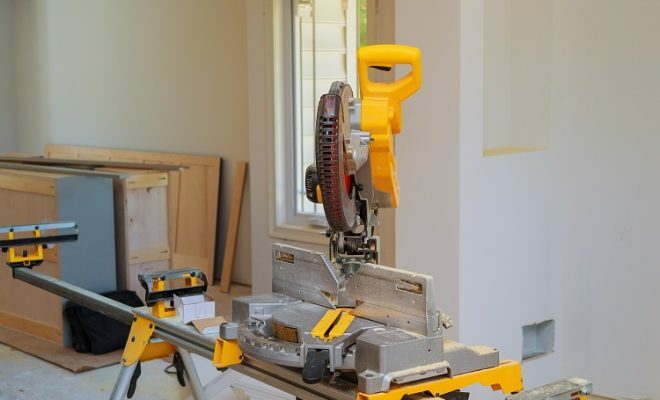 It is reasonable to purchase a miter saw if you are investing in the construction business. A miter saw with the corresponding cutting discs can be used for cutting not only wood, but also laminate, plastic, and even soft metals, such as aluminum. It can be used for the manufacture of furniture, window frames made of metal-plastic profiles and many other products. A miter saw has a big depth and width of the saw cut that allows processing quite large billets. The main characteristics of the miter saw are the width and depth of the saw cut. The bigger they are, the wider the saw capabilities. These parameters depend on the saw blade diameter: the most common are 10 and 12 inches. It is very important to select the disc properly. There is a huge variety of disks for various purposes. Before making a purchase, you should know what type of material you will process most often. There are disks for ripping and cross-cutting, they can be multipurpose and sharpened in a special way to reduce noise during operation. Another important thing to remember is that the depth of saw cut can be adjusted in many models of miter saws, including limitation of this parameter. This is a very useful feature when cutting profiles and sampling grooves. The engine power is also important. For processing wood materials in the home workshop 1400-1600 watts of power is enough. A miter saw with a power of 2 kW or more can cut metal and hard polymeric materials. and casing that the entire system is mounted to. Motors used in miter saws can be of collector and asynchronous type. An asynchronous motor is reasonably considered to be more progressive. It generates less noise, is more efficient and has a more useful life. The main advantage of a collector motor is low maintenance requirements and high torque. But it still requires periodic maintenance (in particular, replacement of collector brushes), but is less critical to overloads and voltage surges. Transmission of torque from the engine to the blade can be carried out not only through a gearbox, but also a belt drive. The latter is not as accurate in the transmission of the rotational speed as a reducer, but less critical to overloads. Belts can stall, but they also protect the engine from overheating. Belt models also generate less noise. Some modern models have a broach function. This means that a cutting blade is mounted on two guides and can move freely. Most manufacturers provide the possibility of extending a saw table in the basic configuration, but you may need additional supports or folding stands for cutting large billets. Many modern models have a laser pointer for exact pointing the cutting line. Professional models are often equipped with a device for adjusting the rotation and tilt of the saw blade to the table. More affordable domestic models usually allow adjusting only the position of the table regarding to the cutting disc, often under one fixed angle. A useful function is an electrodynamic brake for quickly stopping the engine when the power is off. Many manufacturers equip their professional devices with a quick disk change system without additional tools, backlighting, smooth start and a system for maintaining constant revolutions under load. Domestic models usually do not have these functions. If a miter saw will not be used often, do not invest in purchasing a professional one – a set of standard functions will be enough. It must have a protective case. The weight is also important. 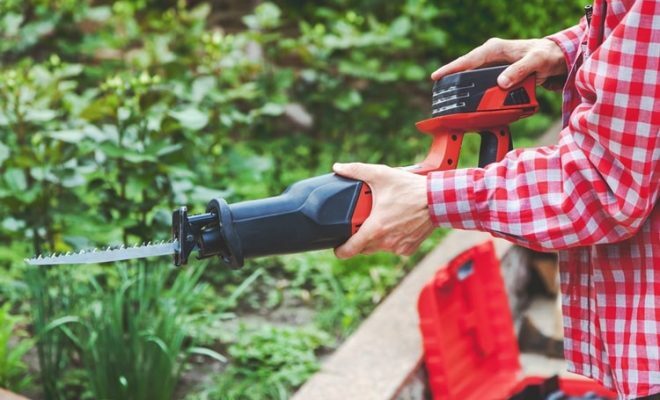 On one hand, a small weight is good for transportation, on the other hand – the heavier a miter saw, the less vibration and deviation of the cutting accuracy. The disc diameter is also important. It should be less than 210 mm in diameter if you will use a saw often. Check the quality of the casing and turret. The accuracy of their manufacture affects the price, but these are the components where there must be no inaccuracies. Make sure that a miter saw motor is designed for a specific disk diameter. There are situations when a too large disk can have a negative impact on the saw operation. In most models, the angle of the disc to the table varies between 45-60 ° – make sure that this is enough to perform the works you need. The wider range is better. Note this when choosing a miter saw. Any miter saw makes a lot of dust and sawdust during operation. Therefore, it is recommended to use protective goggles and a respirator if necessary. A miter saw should better have an automatic engine shutdown system in case of a disk jamming, as well as an engine blocking system during the working disk replacement. You should also pay attention to the fixation system of the processed material – the more securely a billet is fixed, the less a chance of an injury.